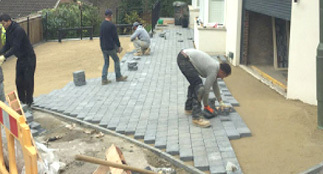 With offices in Guildford, Woking and Kingston we provide landscaping services throughout Surrey. With many years experience in our field we are undoubtedly one of the best at what we do. We are proud members of the Marshalls Register and have undertaken a large number of installations using Marshalls products. 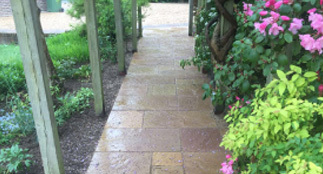 Guildford Landscapes Ltd is an experienced, reputable and affordable hard landscaping firm operating in Guildford and the wider Surrey area. 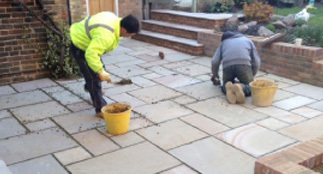 Our qualified landscapers specialise in all types of groundworks, including paving, patios and a number of similar hard landscaping jobs. If you have a project in mind, then we'd love to hear from you. We are able to use a variety of materials to bring your idea to life. 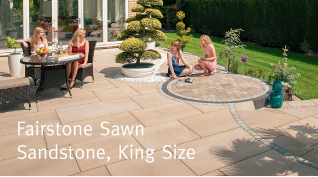 Among our past triumphs are vintage brick driveways, block paving patios and large, complex sections of flagstone paving. We are a family run business and approved by several associations. All of our work is guaranteed and insured for 7 years. Our work force has a wealth of experience; we don't sub contract any of our work out and all of our tools are our own. Many homeowners in Guildford have made the mistake of hiring unqualified landscapers to carry out hard landscaping work on their property. Cowboy landscapers too often do shoddy work and overcharge for their services. If you think you're getting a good deal by going with an unproven firm that hand you an unrealistic quote, think again! 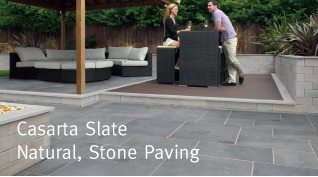 At the end of the day, you want solid and properly constructed groundworks and quality paving on your estate. You will be using it regularly and if it quickly falls into a state of disrepair then it could be costly to get it replaced. Cowboy landscapers go over budget and use low quality materials when carrying out hard landscaping work, so why risk it?